A picture is worth a thousand words, and your wedding photographs are going to speak volumes because we will be there to capture each singular nuance on your special day. When we take on a wedding, it’s not just another job to us, it’s your special event, and we want to get to know you so that we can draw out the best moments of your wonderful day. When you book your event at Crest Hollow Country Club, you can have the destination wedding of your dreams, without ever leaving Long Island. The venue’s expert staff can fulfill your vision and turn your dream wedding into reality by capturing your style.  Whether you prefer an indoor or outdoor wedding, modern, classic, or retro décor, Crest Hollow has it all. Coral Beach: Wed in a relaxed atmosphere amid outdoor elegance. The beach has white, sandy beaches, palm trees, and glowing fire pits. It’s the perfect space for a wedding with a beach motif. English Garden: If you wish to take your vows in a romantic English-style garden, this is the venue for you. The tranquil surroundings with beautifully manicured landscape will transport you and your guests to a different time. North Garden: A stylish rustic venus, nestled in Crest Hollow’s 24-acres, the North Garden is a joy to behold. This space is suitable for formal and casual weddings. Crest Hollow Ballrooms: No matter what the size of your wedding, Creat Hollow’s ballrooms can accommodate. The space is suitable for a sophisticated black-tie affair or a contemporary lounge reception. Each of the ballrooms has its own style and can comfortably hold up to 500 guests. Country Club Lounge: Give your wedding reception a modern lounge feel, so your wedding guests will feel as though they just stepped into the most exclusive club in town. The room has sleek leather furniture, high-tech LED lighting, and a signature cocktail and hors oeuvres service. This is a great reception space if you’re looking for a venue with an upscale, cool, contemporary motif. Wedding Chapel: If you prefer to say “I do” I a more intimate setting, Crest Hollow’s wedding chapel is a perfect choice. The wedding coordinators will help you plan an unforgettable ceremony. If you wish, you can have your own choice of clergy and music. The Crest Hollow wedding menu is designed specially to get your taste buds tingling. The venue provides award-winning, gourmet cuisine from Executive Chef Chris Palmer who’s culinary skills allow him to create wedding menu options that you and your friends and family will find deliciously delightful. You can choose from a range of worldwide cuisine, from American favorites to ethnic dishes. Your wedding banquet will reflect your original style and tastes. Contact us at your convenience so that we can set up a meeting with you and your groom. We can talk about your wedding plans, look over our portfolio and discuss the style of photography you prefer for your celebrations.